As Arsene Wenger is in the last year of his contract and has not yet signed a new deal, he has put a lot of fans in the dark. News came out recently that he has agreed to pen an extended two-year deal but no one knows of its authenticity since there is no official announcement in that regard yet. As we still await a response from the club and the boss himself, we have been provide with another update from an external camp. According to reports, a long time admirer has returned with a tempting offer. 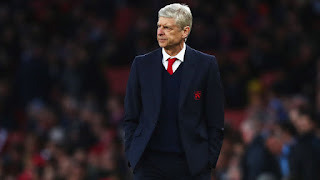 It is Paris Saint Germain who are looking to lure Wenger to France. The French champions are willing to offer him a whopping £10 million against the £8 million he currently earns yearly at Arsenal. This is not the first time they will be making an offer for the 67-year-old. He has previously turned down two offers. I am so sure Wenger will give no consideration to this as he already pledged allegiance to Arsenal.